While we may be best known for bier, bocce, and brats Rhein Haus is also the perfect destination for watching your favorite team! 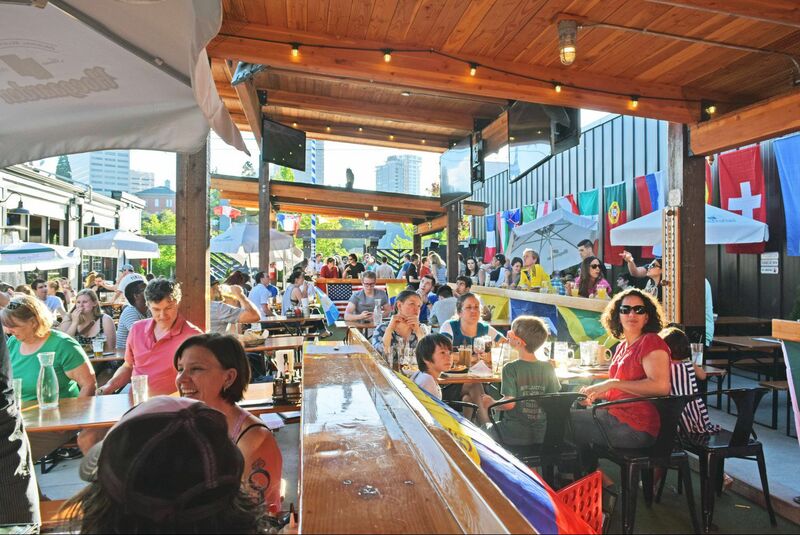 Seattle Magazine Readers voted Rhein Haus the Best Sports Bar in 2018! As an official Sounders Pub Partner, Rhein Haus plays all Sounders games with the sound on! Season Ticket Holders also receive $2 off 1/2 Liters of Rhein Haus Lager ($1 off during Happy Hour) at all times - just show your season tickets to your server or bartender! Showing all Tournament games in the Bier Hall with sound! love golf, tennis or professional lazer tag? If there is a big game coming up in your favorite sport that you would like to watch at Rhein Haus, shoot us an email at host@rhseattle.com and we'll let you know if we can save you a TV in the Bier Hall to watch! Pay-per-view - unfortunately, Rhein Haus is not able to show pay-per-view sporting events.